Seen is a normal mole. The edges are even, not ragged and not notched. 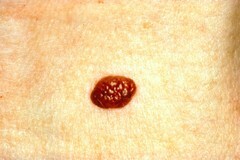 Part of the ABCDs for detection of melanoma.